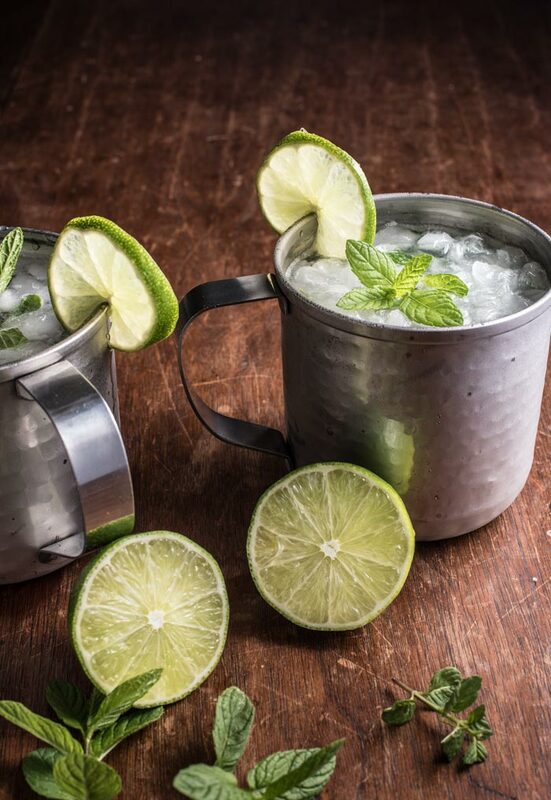 Today’s recipe is a cocktail, a Gin Mint Mule. It’s basically a Moscow Mule, only with gin instead of vodka. Read on for the super simple details. The Moscow Mule is a drink that has really exploded in popularity in recent years, but we aren’t huge fans of vodka so we got to wondering if we could make a version without the vodka. When looking into this we found this article on making a Moscow Mule with gin instead of vodka. Gin and tonics are one of our favorite drinks so we figured this was the way to go. Ginger and mint are also flavors we’ve had together before in our Ginger Mint Sun Tea. Mint grows in abundance in our garden from April through November so it’s something we use as often as we can. 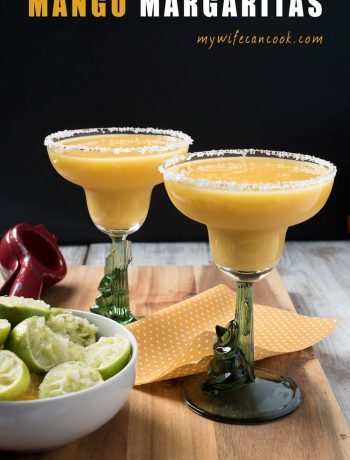 It works really well in drinks, but it was an ingredient in a Blue Apron meal (a cucumber salad I think) we had over the summer and really enjoyed so we need to figure out how to incorporate it in more food as well. And, in my opinion, what makes this drink really good is the ginger beer. It’s something I even drink by itself sometimes because it helps with stomache aches. Luckily, ginger beer seems much easier to find ever since the explosion in popularity of the Moscow Mule. I can find it at both the local Target and the local grocery store. 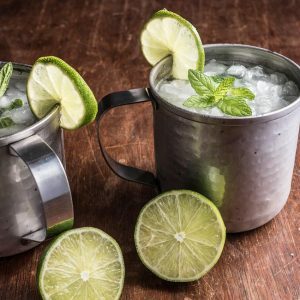 When making this Gin Mint Mule I was a little uncertain whether to use alcoholic ginger beer or non-alcoholic ginger beer as I’ve seen both used in Moscow Mule recipes. But the non-alcoholic version is easier to find and seemed to make the most sense to me so that’s what we used. 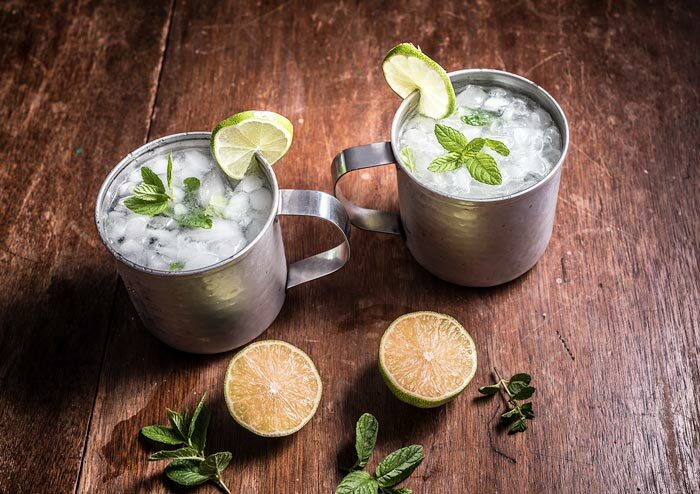 Another thing I noticed when researching Moscow Mules is that they often get served in copper mugs. But when I looked into those I found there is some debate about the safety of straight copper mugs versus those nickel lining. 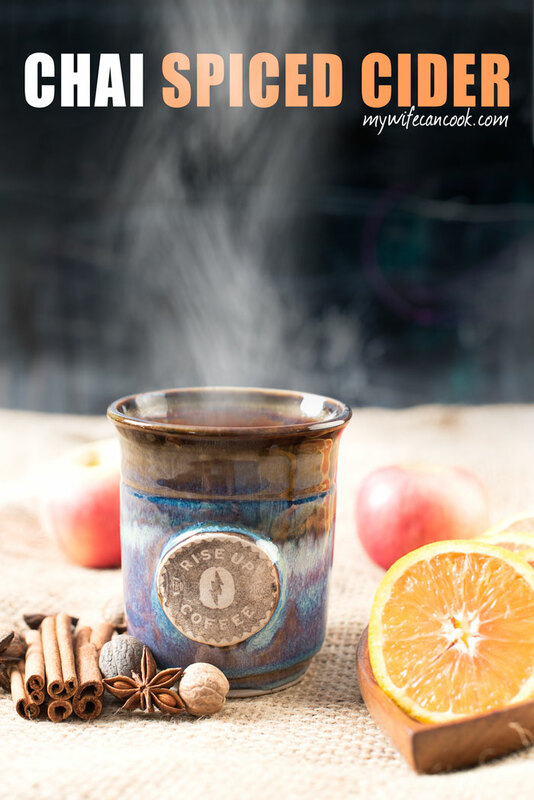 A beverage from a copper mug without the lining is supposed to feel more cold and crisp on the lips equally a better drinking experience, however some worry about the liquid absorbing some of the copper and being a safety hazard. At any rate, we don’t have any copper mugs so it wasn’t an issue for us, but if you purchase a copper mug just be aware of this debate and do your research. For the actual recipe, you have muddle the mint (squish it with the back of a spoon or something equivalent), but then it’s pretty much just adding the other ingredients in order. 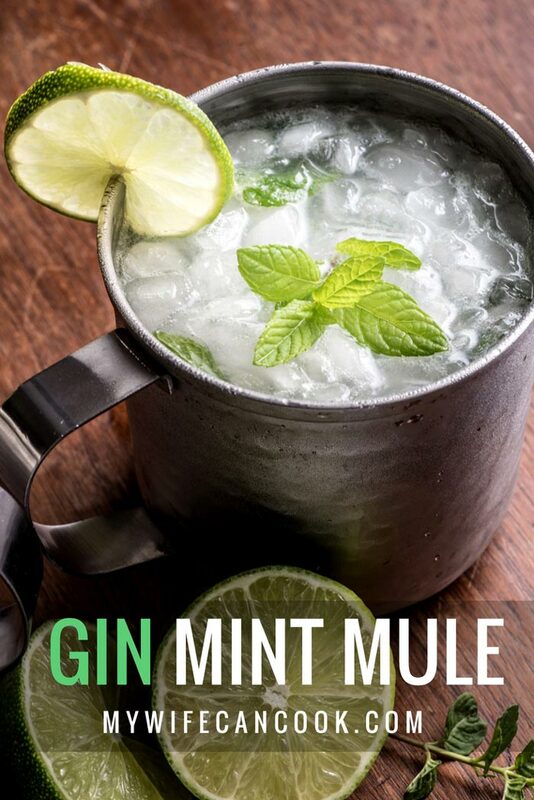 So if you’ve been wondering about Moscow Mules, but like us aren’t big vodka fans, give this Gin Mint Mule a try. Cocktail with gin, mint, fresh lime juice, and ginger beer. Add half of mint, gin, and lime juice to two cocktail glasses or copper mugs. Muddle the mint leaves in the lime juice and gin (we used the back of a wooden spoon because we don't own a muddler). I’ve never been a huge gin fan… but I think the ginger beer may make me into a fan! What a fun cocktail. 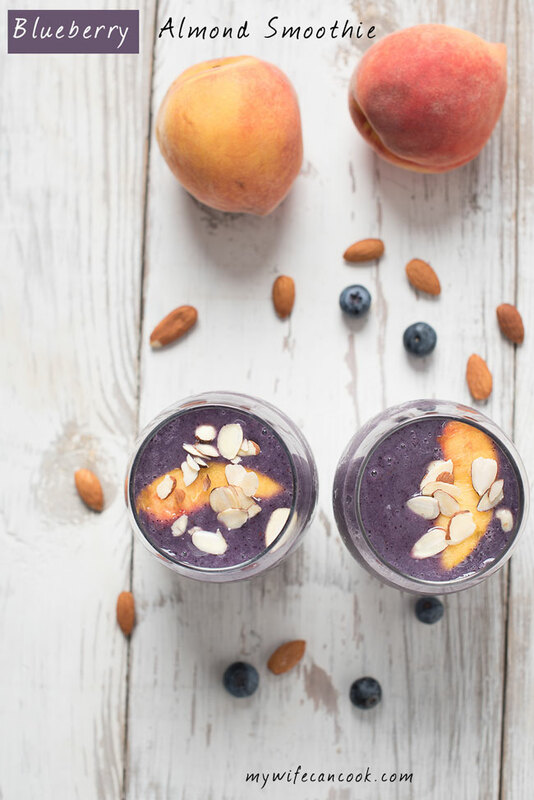 It looks so refreshing and delicious!